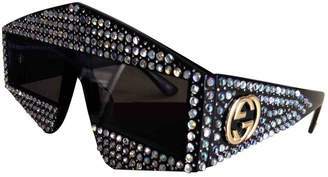 The statement eyewear of Gucci remains a staple of style magpies. 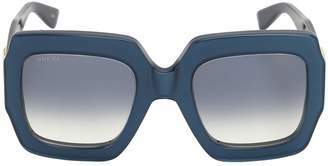 From glittering oversized frames to classic silhouettes, there is a pair to delight everyone. 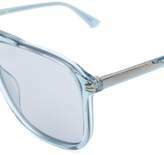 Blue tinted acetate sunglasses featuring oversized frames, tinted lenses and straight arms with curved tips. This item is unisex. This item comes with a protective case.